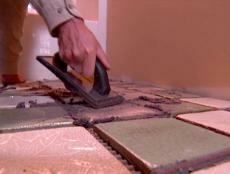 Choose the tiles you want to replace with new tile. 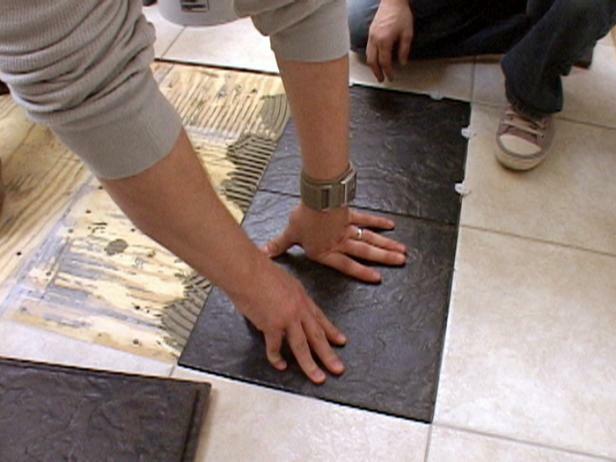 Replacement tiles should be the same size as the tiles you are removing, and they should coordinate with other features in the bathroom. 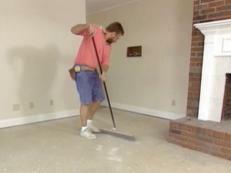 Contractors is demolitioning the floor tiles in the bathroom with a hammer to replace with new flooring. 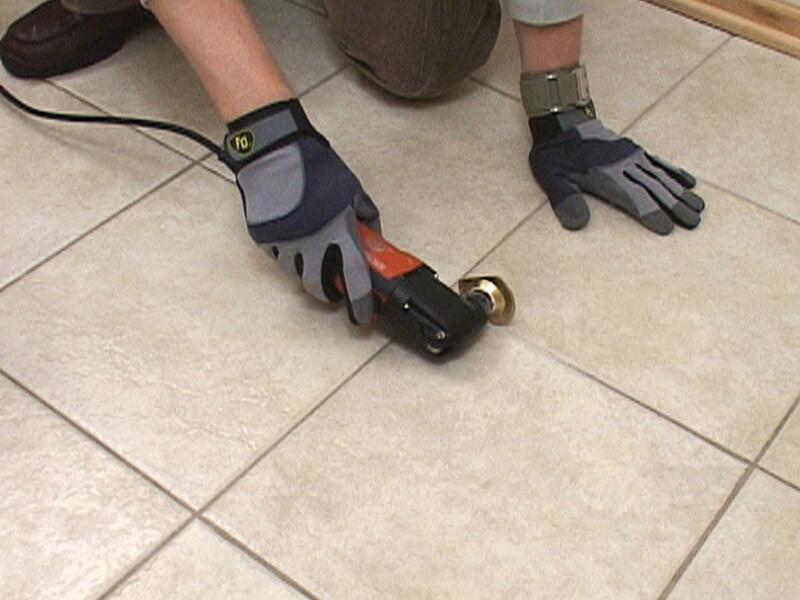 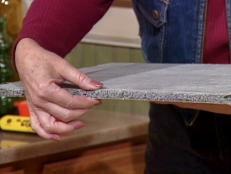 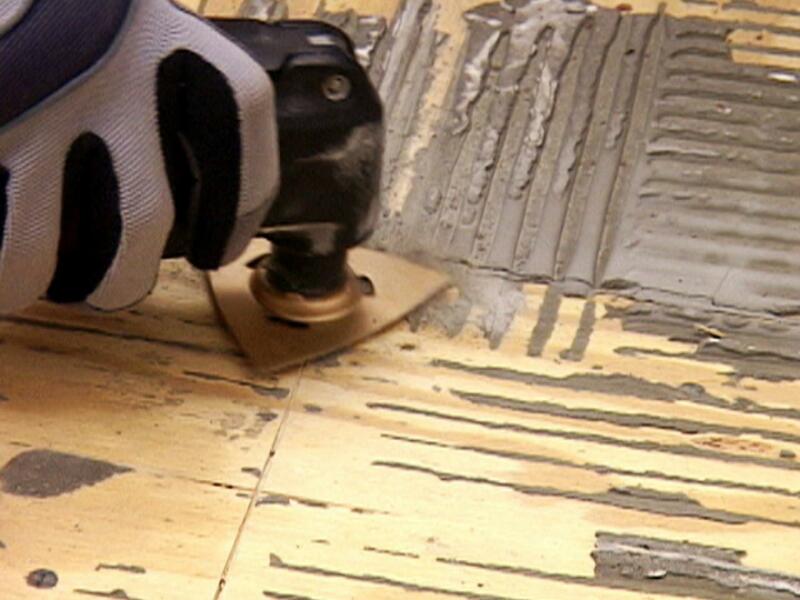 Cut the grout around the tiles you are replacing using a rotary tool. 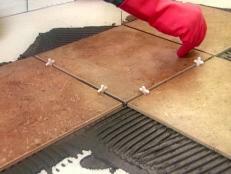 We used the Fein Multimaster which loosens the grout without breaking the surrounding tiles (Image 1). 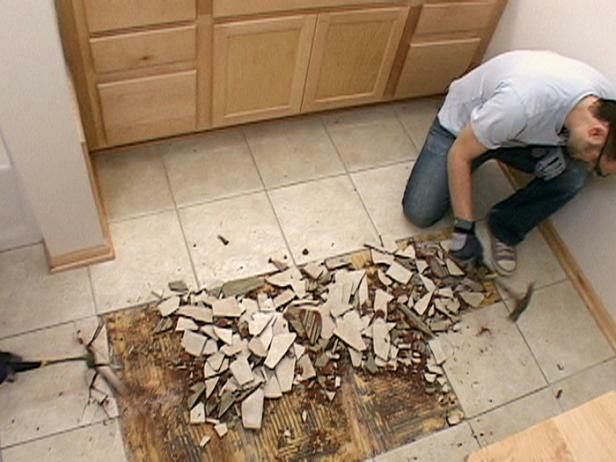 Use a hammer to break up the tiles you are removing, and discard the pieces (Image 2). Be careful when hammering the tile; don’t hit the pieces you want to keep. 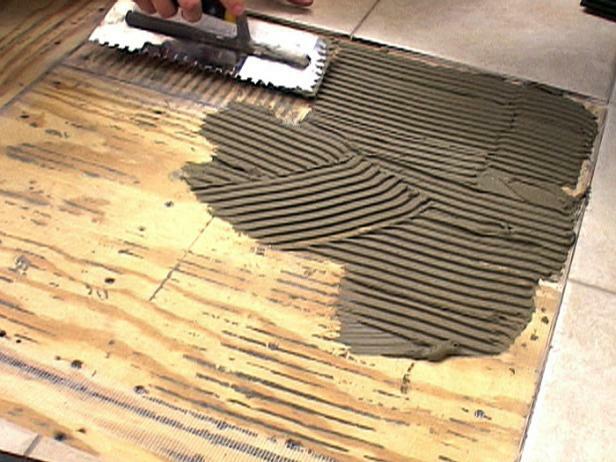 Sand down the remaining thinset (Image 1). 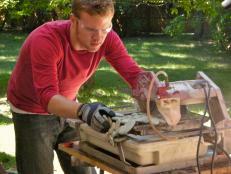 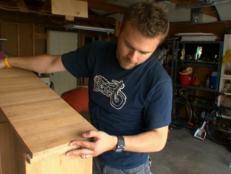 Wet used a sanding attachment on the Fein Multimaster. 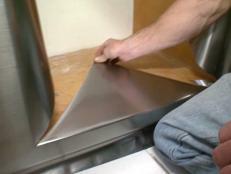 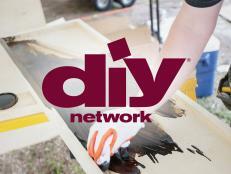 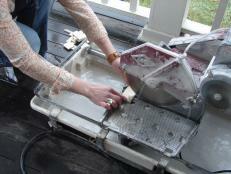 Apply a new layer of thinset with a notched trowel (Image 2). 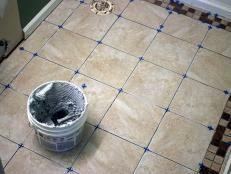 Lay the new tiles in place (Image 1). 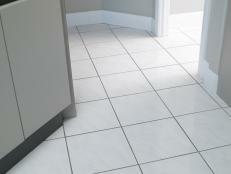 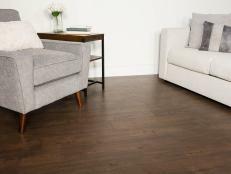 Use spacers to ensure the tiles match up with the surrounding floor tile (Image 2). 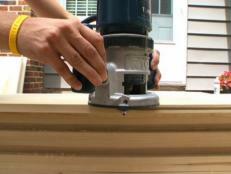 Allow 24 hours to set. 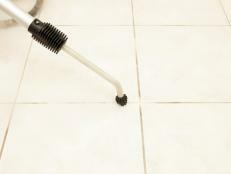 Grout with the same color grout as the surrounding floor.